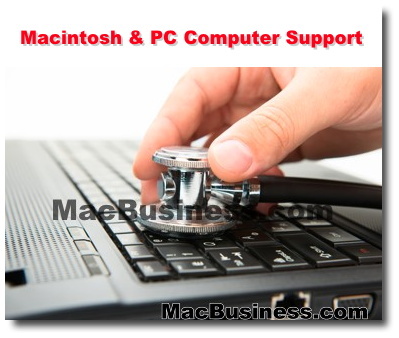 Getting prompt, accurate and proactive PC/Mac support services are becoming more and more a challenge. Many of our MBC clients have realized the value of using our computer support services. How many times have you purchased new hardware only to discover something is missing or not working the way it's supposed to? With our vast experience, we can anticipate these problems and install and configure the new equipment and any software to get you up and running in the shortest possible time and with minimal inconvenience. Many organizations undertake the task of upgrading their software without considering the consequences such as increased memory requirements, compatibility, etc. We can offer you a realistic evaluation on the benefits and costs of upgrading, and help you acquire and install everything you will need. We can conduct a simple audit of your hardware and software to a complete system analysis including interviewing users to determine the best configuration to meet your usage patterns. 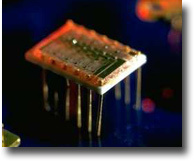 We then present feasible and cost-effective solutions. Whether you are already connected to the Internet or not, we can provide realistic advice on the benefits of the Internet to your organization. We will set up your Internet configuration and help you optimize the functions and features of the Internet. With established relationships with all of the local resellers and mail order catalogs, we can find the best deals on hardware, software, peripherals and consumables. We will recommend what best suits your needs, not what we want to sell you. To assist our users to get the most out of their computer and application software, we offer customized on-site one-to-one and group training tailored to the specific needs of users. No generic courseware, but true customized training designed to make your users more productive. In those cases where a problem cannot be resolved over the phone, we can come to you. We understand that your computer systems play a vital role in the day-to-day operations and we will give your call the appropriate priority. Computers usually break down at the worst possible moment. While we don't do repairs ourselves, you can call us with the symptoms and we will diagnose the problem. If a repair is required, we will then work with you and the service technician who has the right parts in stock, the fastest turnaround time and the best price to get you back to normal operations again as quickly as possible. How many times have you called a software manufacturer's help desk only to be given the run-around? MacBusiness Consulting provides a single point of contact for all your support needs. From basic formulas to complex macros, we can assist in setting up spreadsheets to suit your specific needs. If your spreadsheet users lack the necessary mathematical skills to develop spreadsheets that work well, we can do it for you. We analyze your accounting needs and then install and configure suitable accounting software. We enhance reports, newsletters, proposals, and other marketing materials using desktop publishing technology. There is unfortunately no 100% solution to ridding yourself of Spam. However, MBC has developed a solution that significantly minimizes the inconvenience of dealing with spam. The solution is called the MBC Email Spam Jammer. Spam solution for email software like Apple Mail and Microsoft Outlook.